Nearly nine years after Radiohead gifted In Rainbows on unsuspecting fans in 2007, their seismic, no-label, price-point-be-damned surprise release has been co-opted by an exhaustive number of major-label artists. This year alone has seen pop royalty like Kanye, Rihanna and Beyoncé springing albums on their fans, and in the past 48 hours James Blake and Death Grips have also unleashed new albums. 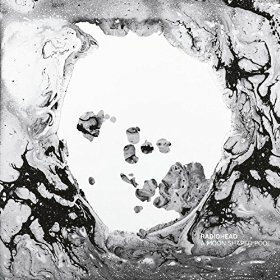 Radiohead’s ninth album, A Moon Shaped Pool, popped into view a few hours ago and for a band that once pleaded for “no surprises,” Pool’s most thrilling surprise isn’t its Mother’s Day release, but that Radiohead’s least rock-oriented album in the 21st century doubles as its most gorgeous and desolate album to date.